Patrick is your personal Chief Financial Officer. He managed $2 billion from 2010 to 2017 and started to help another adviser with 8 billion in 2017. He is knowledgeable in preserving and growing your wealth, as well as risk management, asset allocation, and mutual funds selection having relationships with more than 400 investment managers and having selected funds for more than 20 years. His aspiration is to make sure that you have enough assets as long as you live so that you can enjoy a comfortable retirement at your chosen lifestyle. Patrick's main goal is to give you the best tools possible to improve your financial decisions given your loss tolerance. He provides knowledge and customized strategies in order to make effective diversified investments. He explains the possibilities so that you can make wiser and better long-term decisions depending on your unique situation. He hopes to bring organization to your financial life. Patrick’s passion for investments started in his early teens, after a visit of Paris stock exchange. At that time, he was given a $2 bill. From that point on, he became fascinated by currency management and he started to check its value in French Francs every week. Patrick is very engaged in Chicago's civic community, actively serving as chairman of Stuart Investments, member of the Board of Advisors of the Stuart School of Business at the Illinois Institute of Technology, and the treasurer of the South Shore Drill Team. Since 2006, he has been the President of UFEC/AFFC. In 2014, he was elected “Conseiller Consulaire” with the Consulate of France. Patrick loves sports. For 10 years, he has participated in ski and tennis competitions, winning more than 25 contests. Competition has taught him concentration, persistence, discipline, self-control, humility, and confidence. It has helped him understand that defeats / failure experiences are to be expected and are good learning opportunities. Ultimate success can be attained by learning from past experiences. Sports and its mental side was a constant positive and influence in his life. Sometimes, the main adversary is yourself. Like in entrepreneurship, you need discipline and determination to compete. Move quickly from past mistakes or you will miss opportunities. He enjoys wine tastings (Pomerol and Champagne are his favorite) and traveling. So far, he’s been to more than 30 countries and speaks English, French, and Spanish. He also studied Japanese, Russian and Greek. Patrick also has a French accent that he polishes every morning. When it comes to investing, Patrick believes in simplification, slowing down, independent thinking, having a systematic process, keeping questioning past decisions, being methodical, using checklists, and relying on data (what it says and what it does not say). He is focused, pragmatic, analytical, cautious, humble, and believes that there is always room for improvement and seek ways to get better. Patrick is a talented and dedicated investment professional, with a client-centered focus, who wishes to share his investment passion and experience. Patrick is constantly striving for excellence. His unique combination of international experience and strong educational background give him a significant edge when it comes to analytical depth as well as optimizing your wealth. His unique combination of global professional experience, project management and high-level analytical skills bring value to his clients' long-term goals. Patrick grew up in the city of Toulouse in the south of France. In 1996, Patrick took his early passion for finance to Paris, where he opened an investment club, and managed a portfolio of stocks and mutual funds in Euros. He graduated top of his class, earning his Master of Science in Engineering (EPF Ecole d'Ingenieurs). In the meantime, he discovered how the financial markets worked during internships at BNP Paribas in Chicago, JP Morgan in Paris, and Euronext/NYSE in London and Chicago. His early work experience in financial services impressed upon him the values of excellence and integrity. In 1999, he relocated to Chicago to work again for Euronext/NYSE, and started to manage a second fund of funds (in U.S. Dollars this time). He also earned a Master of Science in Finance (Illinois Institute of Technology - graduated Beta Gamma Sigma). In 2000, Patrick joined the prestigious equity team at UBS Global Asset Management-Brinson Partners, which managed $600 billion, where he quickly rose in the ranks. He became the youngest associate investment analyst. Patrick began to develop a reputation for his expertise in equity research and portfolio management. While his education in engineering and finance has given him a solid foundation in financial analytics, it is his thorough understanding of the valuation and investment process and systems that truly set him apart. 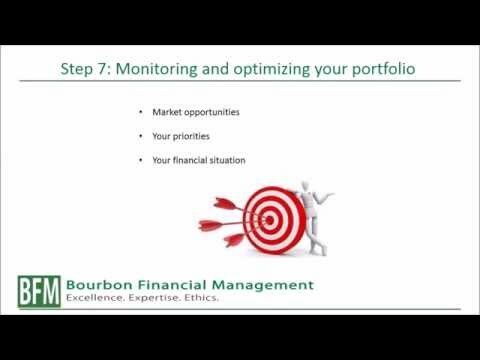 After 15 years of helping friends with their investments, he created Bourbon Financial Management, and decided to bring his money management experience to help individuals and families live the life they want. His goal is to give his clients the best possible chance of having a successful and comfortable retirement. Being competent was no longer enough. He wanted meaning. Here's why some investors need to pay capital gains taxes even if they haven't sold any funds or made any portfolio changes—and how to combat it. This checklist of 15 important items to consider before the calendar year ends will help get or keep your finances on track. Here's how behavioral finance can help investors avoid making bad decisions with their investments. When it comes to using active managers for your portfolio, it pays to do your research. How can investing help someone beat inflation? • As you get closer to retirement, you face an increasing risk of negative real returns, also called inflation-adjusted returns. This erodes your purchasing power and has a negative impact on your wealth. • Inflation (or price increase) is higher for college tuition, medical care, food, and energy. • True inflation may be higher than officially reported inflation. • We do not have inflation concerns in the short term. Southern Europe even sees some deflation, which is a decline in prices that could also be terrible for a country. We believe that reported inflation will come back in the mid to long term. Reported inflation is currently below target in most OECD countries. • Certain types of investments could protect you against inflation. However, their effectiveness, reliability, and cost vary. • There is a small cost to protect against inflation, but it should provide valuable protection: it will reduce the large loss in purchasing power that a traditional stock/bond portfolio is likely to suffer. 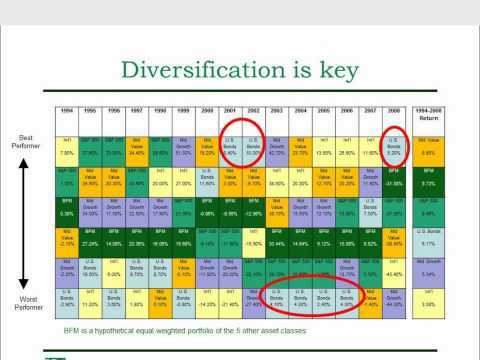 • One way to prepare yourself against inflation (to hedge) is to diversify your portfolio beyond traditional stocks and bonds, by including real assets (commodities, real estate, global REITS) and inflation-linked bonds (TIPS). Don’t be fooled by people who claim that there’s no inflation. How can I safely invest excess cash inside my IRA? For IRA, short term bond funds have low volatility and may return more than 0.01% over one year. A ranking of the highest yields can be found at http://www.nerdwallet.com/rates/savings-account/. These banks are FDIC insured.